Cute Cartoon Writing Pig Pen Lioness_Graphics Cheerful Madness!! Cute Winged Cartoon Pig Black Ink Pen Lioness_Graphics Cheerful Madness!! Cute Winged Cartoon Pig Commuter Mug Lioness_Graphics Cheerful Madness!! Cute Winged Cartoon Pig Pen Lioness_Graphics Cheerful Madness!! 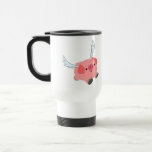 Cute Flying Cartoon Pig Commuter Mug Lioness_Graphics Cheerful Madness!! Cute Flying Cartoon Pig Dinner Plate Lioness_Graphics Cheerful Madness! !